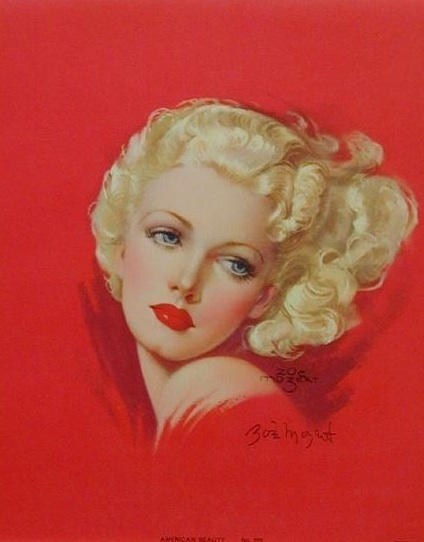 Zoe Mozert was both a pin up artist and a model for the genre. She was born Alice Adelaide Moser and studied with Howard Pyle. 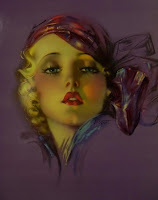 She moved to New York in 1932 and painted pin up art and magazine covers, frequently using herself as a model. In the late thirties she was sought after as a movie poster artist. The example here is Jane Russell in the outlaw, along with a magazine spread of her at work on the painting with Jane Russell modeling. A better image of Jane Russell posing for Zoe Mozert is here. She painted her series "Victory Girls" during World War II. 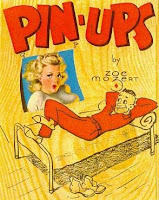 The next image is the cover of a booklet of 12 postcard sized pinups sold during World War II and illustrated by Zoe Mozert. Here's a link to more information about World War II pin-ups: Skylighters.org. These two images are of Zoe posing for Earl Moran and a finished painting by Earl Moran for which Zoe Mozert was the model. The next four images are self portraits by Zoe Mozert. The next image is a humorous illustration by Zoe Mozert titled "The Three Graces." The last image is a painting of Zoe Mozert by Vargas. 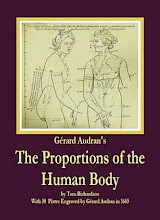 Link to a bunch of pictures of her work: American Art Archives. More images: The Pin Up Files. Self portrait at Askart.com. A conventional portrait of Helen Frye at Sedona Legend Helen Frye. Three photographs by Earl Moran of Zoe used for calendars. Here's and example titled Youth.